I wonder if Obama sent the family a condolence card. I’m sure he did, hon. BTW, I added you to my links. Thanks for the complement and the encouragement. Your blog is great and I hope to dialog with you in the future. 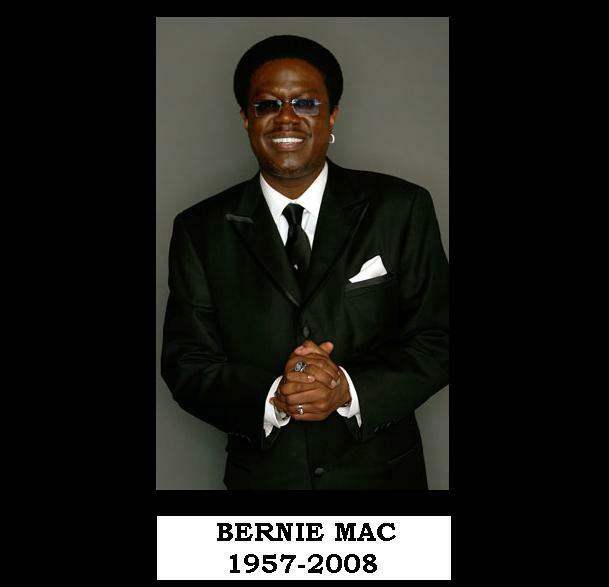 I am very sad about the passing of Bernie Mac, He was one of the most talented comedians of our times. I am going to miss him very much. When i learned of his pasting it heard my heart because, I losed My husband in 2006 suddenly he was when to the hosiptal just for simple treatment, 15 minutes later he was gone. I know How Mrs. Mac feel. My Prayers, and Heart goes out to her and, her family. SB, thanks for the add and glad you like my blog, and re: dialogging, look forward to this. I still can’t believe he’s gone. He was a good Black man, gone too soon. Period. Damn. Bernie Mac what can I say that people haven’t already said. An Awesome Man who touched everyone he came in contact with. I still laugh when I see his shows. Bernie and I are somewhat alike, I say what I mean and mean what I say and he is that same person. He will be deeply miss but will live in our “Hearts forever”. I just want to say Heaven won’t be the same. You have so many Talented People there, (Heaven) you know no one is going to sleep now. We have Bernie Mac, Issac Hayes, Gerald Levert, Barry White, Luther Vandross and lets not forget Rick James, and Ray Charles just to name a few. They have bust Heaven wide open with the Greatest. God won’t be able to keep his composure now. He’s being entertained for free. God you couldn’t have picked a better bunch! 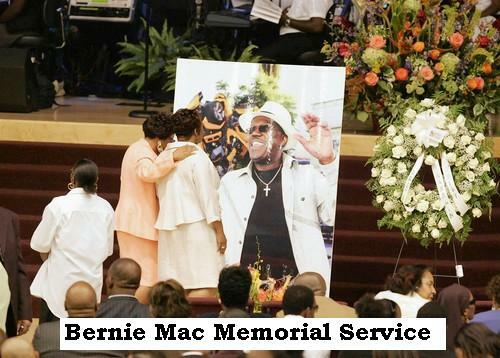 I wonder if the family of Bernie Mac would consider selling copies of his service on DVD as a funding/donation resource for his Sarcoidis Foundation. I, for one would be honored to puchase the memory while contributing to the cause. Can you possibly recommend this suggestion? I have no intent to offend, I honestly believe many people would love to treasure this moment along with the many film DVD’s of Bernie Mac’s short but PHENOMENAL life. We will miss him terribly. Bernie, we’ll all miss you!! Thank you for giving us years of entertainment and for making us laugh. You were a joy to watch on TV and in the many movies that you’ve done over the years!! You’re in a better place now and your spirit and lagacy will live on forever!! Mr.Mac was so inspiring to me, he was an role model also.I love watching the t.v show there’s a lesson to learn in every one them. You’ll be miss but never forgotten, your fan forever always. I had the pleasure of attending Chicago Vocational High School (I was a freshman, Bernie and Rhonda were Seniors). My sincerest condolences to you Rhonda and Je’Neice. Bernie has a new job now and that is to be your guardian angel until you are called Home. Rest In Peace, Cavalier! If you look to the hill’s from which commith his (GOD’S) help his help commith from the Lord. To the family i hope that you are reading this hold you head up and just remember if your life is right with God than you shall see you Husband, and father in heaven. GOD BLESS. I think the first thing I remember seeing him in was “Get on the Bus”. I always liked his comedic style because he was so real, he reminded you of people you knew in life. Gone much too soon. Rest in peace.